Halfway through the 2018-19 A-League season and the table is starting to shape up, creating a clear gap between potential finalsts and the rest. But a very even competition could make for an exciting finish, and here’s how I’ve viewed each team’s season so far. Perth have been remoulded under new coach Tony Popovic in such a short length of time that it shows his brilliant management skills beyond his years. 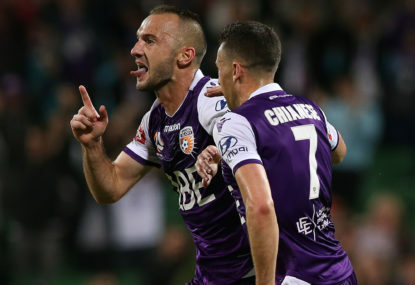 While the Glory have had many injuries to deal with, including to players like Matthew Spiranovic, Diego Castro, Juande and Brendon Santalab, Popovic has built a squad with one of the best benches in the league, with many players starring, such as Joel Chinese. The five at the back has had a similar effect to Antonio Conte with Chelsea, the side has brilliant wing backs in Jason Davidson and Ivan Franjic and an exciting winger, Chris Ikonomidis, to score on the counter. Popovic has the team doing its jobs and winning when it gets tough. Keisuke Honda has been the star of Melbourne Victory and the entire league. With many goals, assists and his general play – he never seems to give the ball away – he has been great to watch. Victory under Kevin Muscat have changed their system to play to their strengths, with a midfield diamond and two up top. Besides Honda, many players have stepped up, including Terry Antonis, who is turning into a regular goal-scorer, and Kosta Barbarouses, who has been adjusted into a striker. Swede Ola Toivonen is a great target man and very composed shooter who has been linking up with James Troisi very well. Victory look great when Honda plays, but they’re a different side without him. They will surely adjust in time. Victory have a great team when fit and have the players to go back-to-back and be competitive in the Asian Champions League. Sydney are a different team under Steve Corica compared to Graham Arnold this season. They were expected to be the ones to beat, but they must improve to be contenders. Sydney have, much like Victory, gone to two strikers, which many fans are still undecided on. Players like Siem de Jong have showed glimpses of brilliance but are not being nearly as consistent or involved as Adrian Mierzejewski was. Adam le Fondre has been a lethal finisher like Bobo but uses his pace to get in behind. 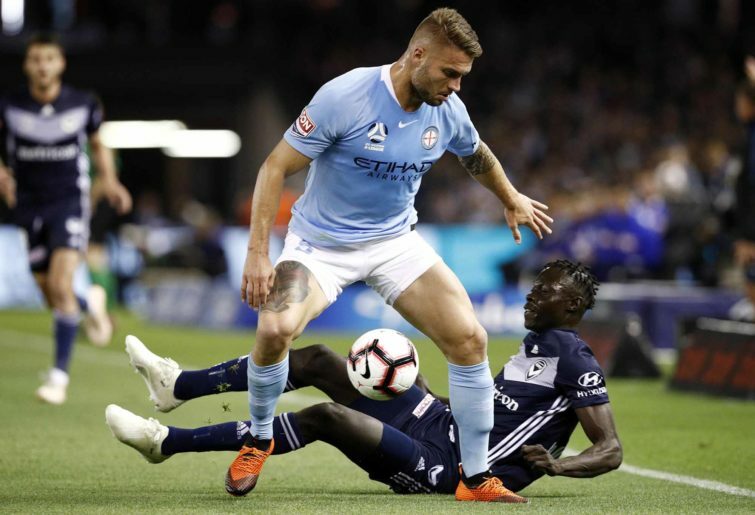 Unfortunately for Sydney Trent Buhagier, a man with great pace compared to someone like Alex Brosque, did his ACL at the start of the season. The fringe players have stepped up, and Aaron Calver, Jacob Tratt, Paulo Retre and Daniel De Silva have been brilliant when called upon. They’ve had a tough start, but once they get clicking, they can become a big threat again. The circus came to Melbourne when Bruno Fornaroli didn’t travel to Brisbane, and he hasn’t played since. However, in the meantime, City have been playing much better football and winning games, and Warren Joyce has won the battle with the fans after some called for his head. City have made some great signings, with Riley McGree scoring a couple of goals, Ritchie De Laet playing worthy of marquee status and Kearyn Baccus controlling the midfield. However, the side still need a striker, even though Lachie Wales has done a good job and looks like a long-term first-team regular. If City make a good signing or two, they could be up there as they still haven’t lost to Melbourne Victory. FFA champions Adelaide United have had a very inconsistent season. They have many great players but seem to be missing something. Paul Izzo is one of the best, and they have a solid defence and experienced midfield, with Isaias Sanchez playing one of the best seasons since he’s come. Up front they have Craig Goodwin, who started the season with a bang but has gone quiet; Ben Halloran, who shows moments of class; and Ken Ilso. Adelaide know they need a striker, and they’ve been linked with many, such as Tomi Juric and Andrew Nabbout. 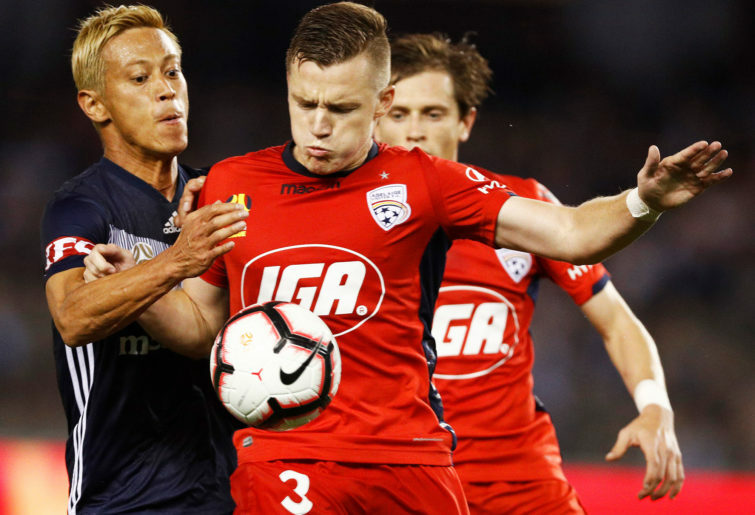 Adelaide at their best can anyone, as shown by beating Melbourne Victory, but they can also struggle, as shown in draws against the lower-placed teams. A big signing required, but Marco Kurz seems like a great manager. Hopefully we see Goodwin get back to scoring those rockets. 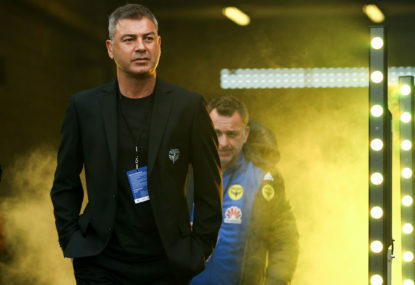 The Nix have been reborn under Mark Rudan. The coach that won so much at NPL level has been shining in what was been called one of the hardest jobs in Australian football. He signed a contract with the club’s future undecided, taking over from a poor team last year to turn them into contenders for the title. Rudan has used formation and personnel changes before settling on his 3-5-2 formation. He has developed young teenagers Sarpreet Singh and Liberato Cacace into important players, and Roy Krishna is now the club’s all-time leading scorer. 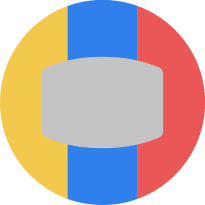 However, Rudan has focused on his defence, signing Polish goalkeeper Filip Kurto and ex-Newcastle man Steven Taylor, solidifying the defence. Andrew Durante continues to show his class and experience, with over 300 A-League games to his name. 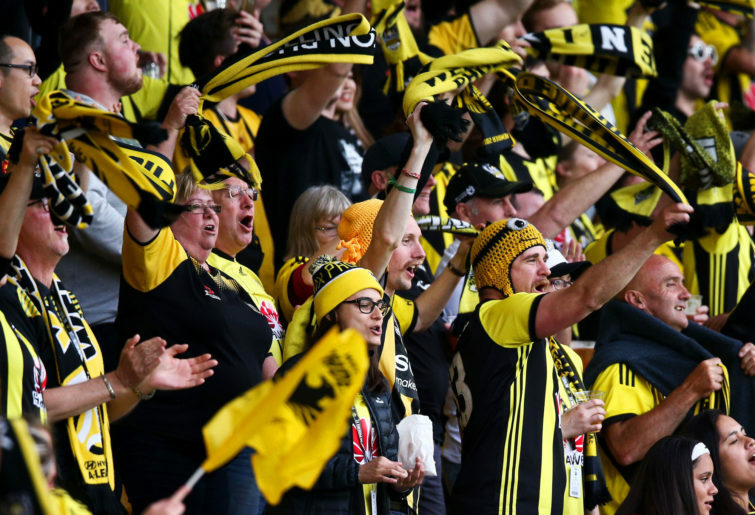 The Nix have gone from potential spooners to potential contenders. Last year’s grand finalists have been nothing but disappointing to the neutral. A side that last year scored goals for fun has struggled in front of goal. Roy O’Donovan has helped and Kaine Sheppard from Avondale, but the Jets look far from where they were last year. A loss in personnel and Jair’s struggles to convert have made for a frustrating season to date for the fans, but Ernie Merrick is surely the man you want to turn it around. Let’s hope for the sake of the league that Newcastle can mount a late-season charge for the finals and get back to the free-flowing, attacking style that won over fans last season. 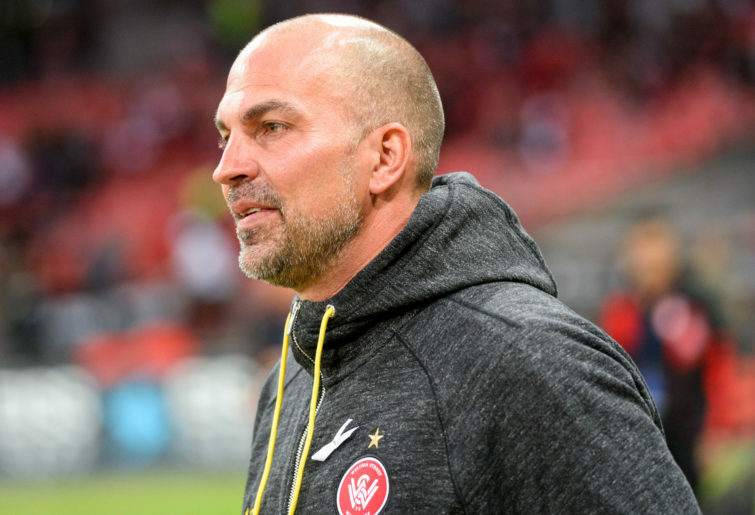 Markus Babbel called the Wanderers the worst team in the league at the start of the season, but that hasn’t proven to be true. The Western Sydney have been inconsistent and frustrating to watch, like the Jets at times. They have not been able to score despite creating nearly the most chances of any team this season. They have a defence that is leaky, as shown by the 4-3 loss to Perth. Oriol Riera has looked tired, frustrated and switched off in games. Alexander Baumjohann has shown glimpses of magic but tends to be isolated and not involves as much as he should be. Patrick Ziegler has looked good when available. Kwame Yeboah looks fantastic with his pace in behind. With a very young team things are looking better for the future, with academy like Tate Russell, Keanu Baccus and Abraham Majok getting game time. The Wanderers have potential and promise with a good coach. Brisbane have had another season to forget, with just one win so far. With not many players playing well and a long way behind finals, the youth should get more of a chance, with players like Connor O’Toole, Dane Ingham and Daniel Bowles all looking good. 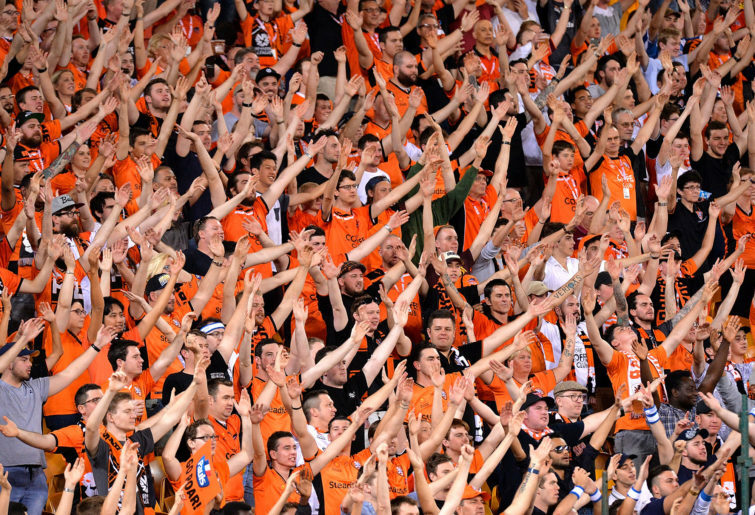 John Aloisi has left, and they are looking a little bit better. Brisbane have created chances but, like Western Sydney, they cannot convert. 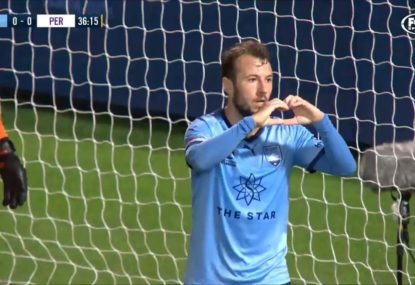 Adam Taggart, despite his high goal haul, should be on a lot more. 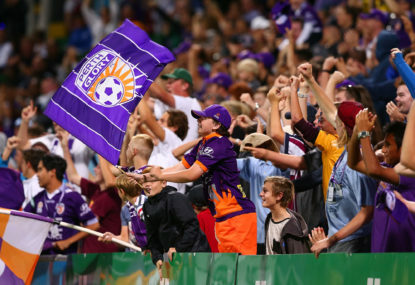 Brisbane off the field looked good at the start of the season with reasonable crowds. Unfortunately crowd numbers have declined significantly, combining with some recent troubles at the Den. This football club needs significant reworking for the future. Well, where to begin? The 300-plus days without a win? 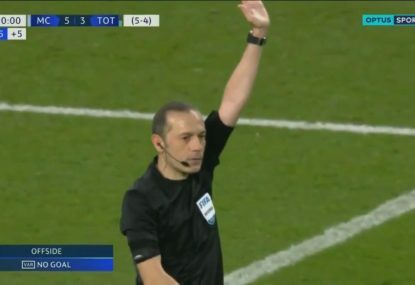 The ‘Michael Charlesworth Out’ signs? The broken goalposts? The Mariners used to be one of the powerhouses of the competition, but that feels like a lifetime ago now. Usain Bolt arrived in the preseason, trained and then left. Maybe they should have kept him, because they need a striker now that Ross McCormack has gone back to Scotland. The crowd is at one of the lowest points in league history and fans are beginning to fear promotion and relegation because they believe the Mariners will be first down. Tommy Oar has been injured and the team have looked like a Sunday side at times, with horrible errors and aimless possession. Despite some young players, like Matt Millar, playing well, the fans know he will probably leave like so many others did. However, the Mariners will be hoping their win over Melbourne City will be a start of a run that launches them off the bottom of the ladder.